I am pleased to share with you the article below which appeared on the Rocky Mountain Conference’s website. It warms my heart to be a part of a congregation that is so loving and supportive. 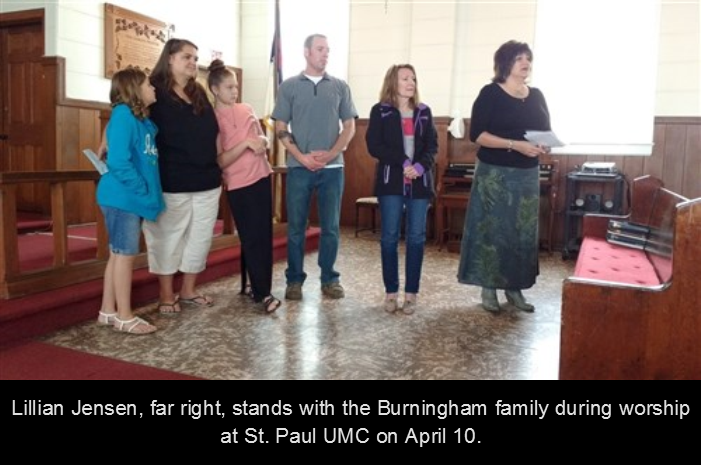 Lillian Tsosie Jensen, from the Utah State Office of Education, worshiped at St. Paul United Methodist Church in Copperton, Utah, on April 10. During worship, Lillian shared with the members of the church a heartwarming story of the dragonfly. She was given a $705 check by the Burninghams from St. Paul UMC’s Bucket of Love to go towards helping prevent teen crisis and suicide. The money will go towards printing costs for the advertisement of the “UT Safe” phone app.